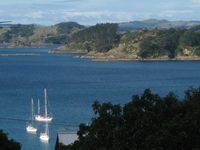 Properties in Hekerua Bay average 4.6 out of 5 stars. Property 32: Designer 1 Bedroom House With Stunning Sea Views! 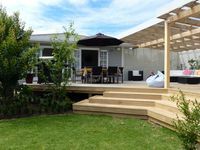 Property 35: Stylish waterfront retreat - dramatic 180 degree views! Property 47: Palm Beach Oasis, Dble Kayak, SKYTV, Wifi, Car? !